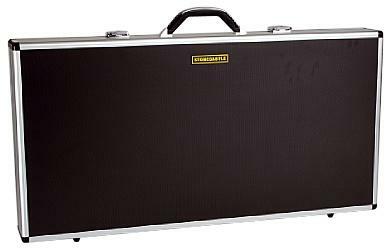 no matter if you are a profesional or an amateur guitarist or bass player. very easy with the including velcro, that you can cut in any desired lenght. The strong velcro is 3 cm wide. 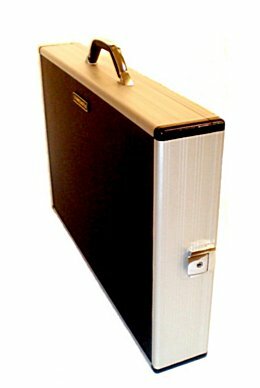 very comfortable handle, you almost have the feeling of carrying a briefcase. with strong self adhesive velcro to fasten your pedals, any way you want them. You're ready to rock before the drummer starts to pack up his cymbals! on the market. Slim? 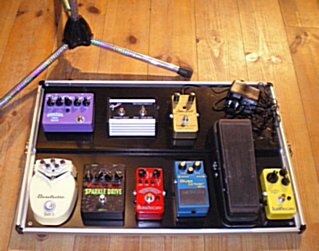 Don't worry, your wah-wah or volym pedal will easily fit. the lid, and lighter extraboards in the bigger models. 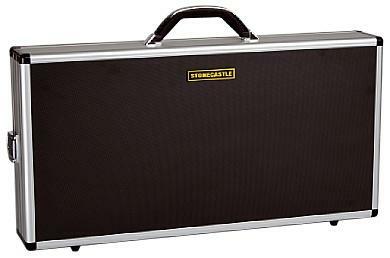 This is our smallest case and it is suitable for about 3 to 5 pedals, depending on pedal sizes. Inside measure: 40 x 30 x 9 cm. Weight: 2,6 Kg. 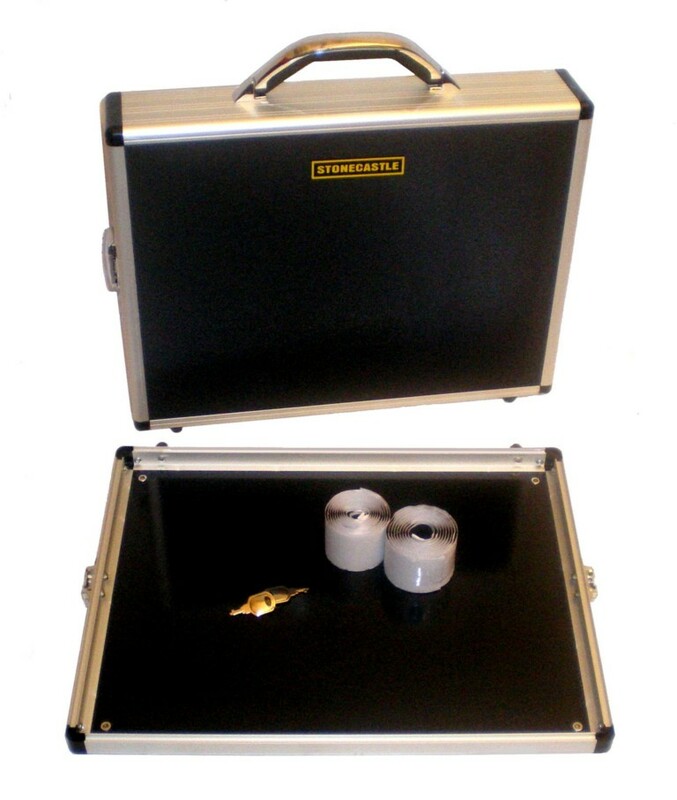 Includes 2 rolls of self adhesive velco and 2 keys. 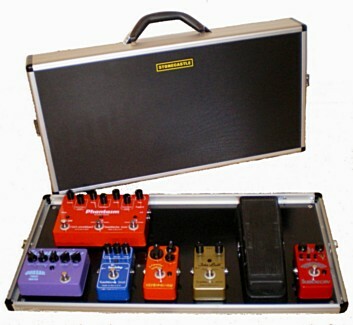 This is our best sold case and it is suitable for about 5 to 8 pedals, depending on the pedal sizes. Inside measure: 60 x 30 x 9 cm. Weight; 3.3 Kg. A very popular case with its second level. 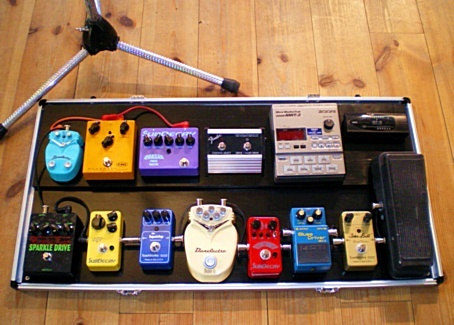 It is suitable for about 8 to 12 pedals, depending on pedal sizes. Inside measure: 60 x 40 x 9 cm. Weight: 4,1 Kg. 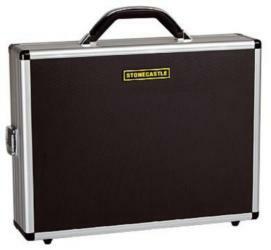 This case has an extra removable bord, fastened with velcro, for a second level. Includes 2 rolls of self adhesive velco and 2 keys. Now even lighter weight! 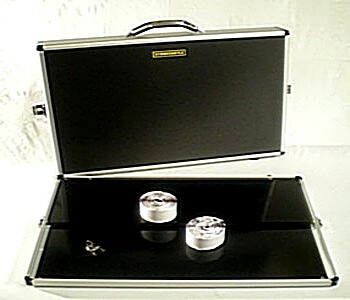 Our well sold "battleship" case with a second level. 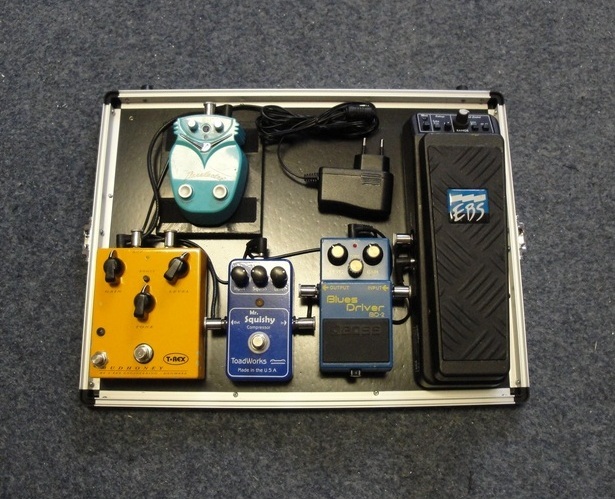 Suitable for about 12 to 16 pedals, depending on pedal sizes. Inside measure: 80 x 40 x 9 cm. Weight: 5,5 Kg. 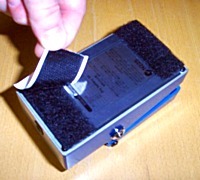 *This case has hinges because of the weight inkluding pedals. Still the lid is very easy to remove. 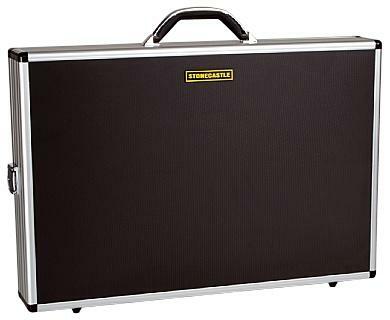 Note: Pedals are not included in any of the cases.